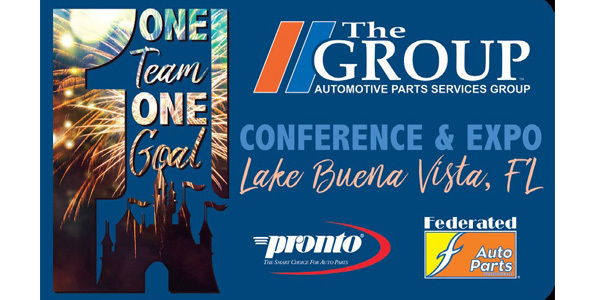 National Pronto Association and Federated Auto Parts have announced their second combined national conference and expo. Scheduled for March 12-15, the event will take place at Disney’s Coronado Springs Resort in Lake Buena Vista, Florida. During the meeting, members from both groups will attend one-on-one supplier meetings and a combined vendor booth show, which has been extended to allow members and vendor partners more time to interact. In addition, informational breakout sessions will update members on data and information systems, national account programs, new supplier programs and other business-process improvements. This year’s meeting also will feature more combined activities for the attendees, including The Group awards luncheon on March 13. A highlight of the week will be a special reception and dinner at the Epcot World Showcase Pavilion on March 14, followed the next day by the Toys for Tots Charity Golf Outing at Disney’s Palm Course.